Famous for its young crowd and diverse culture, Bangalore is a city of wonders. Other than the dazzling city nightlife and shopping experiences, it has beautiful and relaxing surrounding, waiting to be explored. With self driven cars in Bangalore, here are a few places you can plan a road trip with your friends and family near Bangalore city. Nandi hills are a must-do road trip for every Bangalore residents. The place is most loved for its greenery and scenic beauty. With pleasant weather in all seasons, there are numerous activities you can indulge at Nandi Hills. The list of events includes paragliding, trekking, mountain biking etc. Located around 70km away from the city, it is an excellent choice for your next road trip. Savandurga is the hilly escape you can rely upon whenever the city becomes too much for you. A couple of hours through the scenic Mysore road takes you to this monolith. One of the greatest attraction of the place is the night trek available here. It is approximately 50km from the city. Mysore is one of the most visited tourist cities in India. This historically rich city is in driving distance from Bangalore. The Mysore Palace, Zoo, Brindavan garden etc. are few of the popular attractions in this city. Just as the destination, the road to Mysore from Bangalore is also beautiful and dotted with numerous attractions such as Channapatna, Innovative Film City and Ramanagaram. The road trip from Bangalore to Mysore is almost 140km long. Lepakshi is a historical and archaeological destination which will fulfil your desire to go back in time. This village located in Andhra Pradesh resembles the Vijayanagar architecture in Hampi with its hanging pillars and all. A large Nandi sculpture etched on a monolith rock can be found here which reminds you of the engineering skills of our ancients. For those who love mural paintings and sculptures, Lepakshi is a paradise indeed. 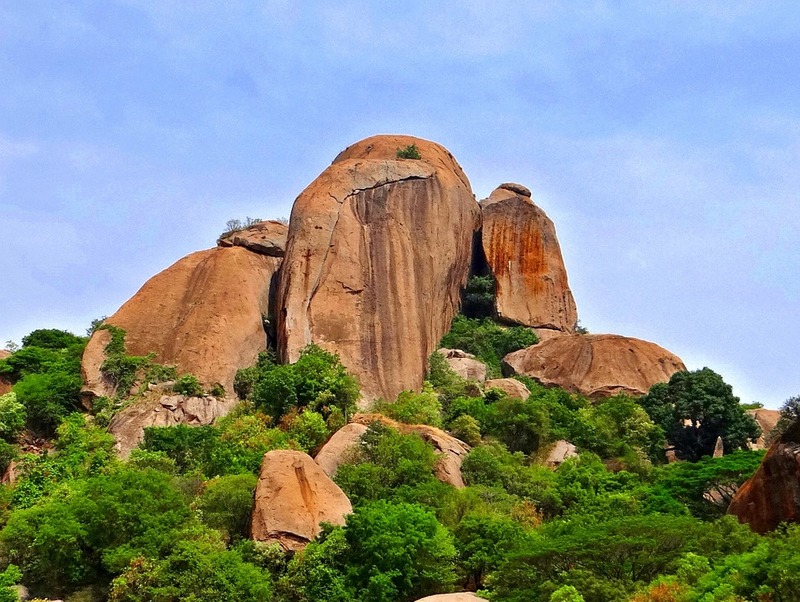 It is located roughly 150km from the Bangalore city. Hogenekkal is home to the favourite Hogenekkal falls which has featured in numerous Bollywood and regional films. With a beautiful landscape along the way, it is an excellent destination for a road trip. The place is located in Tamil Nadu, almost 180km from Bangalore. The Biligiriranga Slopes or the BR Hills is the place where the Eastern Ghats and the Western Ghats meet. Rich with lush green landscapes and large varieties of fascinating creatures, the journey to this place is a beautiful experience. Different kinds of activities such as river rafting, trekking, fishing etc. are available for you to indulge in. The BR Hills is located 180km from the Bangalore city. A road trip with your friends or family is always a great experience to have. With beautiful locations in the driveable distance, Bangalore offers excellent opportunities for road trips. The car rental services such as Zoomcar are now providing self driven cars in Bangalore. Make use of such facilities for your perfect road trip.